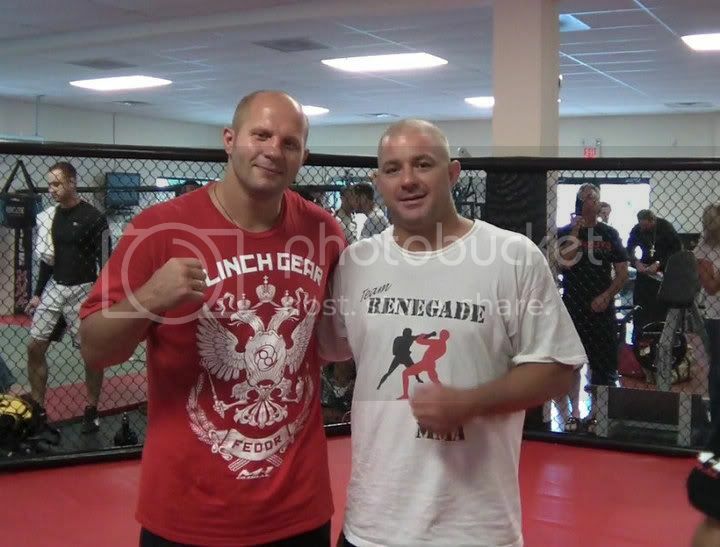 Anthony Sansonetti is the coach of Team Renegade MMA based on Long Island. In 2010, one of his students, Ben Syers, won the Evolution AMMA title, and Anthony himself won the US Combat Sports Mid-Atlantic coach of the year award for 2010. This year, Sansonetti is getting off to a great start with another achievement, the Silver medal at the Dutch Sambo Open, which took place in Holland last week. I'm proud to say that I train with Anthony and Team Renegade, where the guys use me as both a human grappling dummy and punching bag, and I love every minute of it. Anthony truly is a great coach, and there are many guys on the team who will have great MMA careers. Here is the video of Anthony's matches in Holland. I'll be doing an interview with him this week as well, so stay tuned for that. Congrats, Coach!